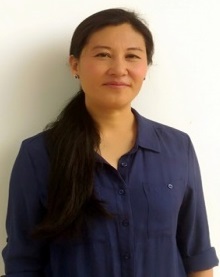 Tialila Kikon, is a senior assistant professor in the department of English, Peren Government College, Nagaland. She is currently a PhD candidate at Assam University writing her thesis on the topic, “An Ecocritical Reading of Toni Morrison’s Selected Novels.” She is the author of Paper Cranes, an Anthology of poems. She has keen interest in the various issues concerned with the LEGH Movement mainly Ecocriticism and Theory and Ecology, Literature and Human Rights. She has also bonhomie with African American Literature, Environmental Humanities and Poetry & Poetics. As she inks her thoughts into meaningful words and beautiful images, she has an inclination towards Creative Writing also. She has been appointed as one of the Coordinators of FSLE-India for its Nagaland Region.